Professors Sanowar Khan and Panicos Kyriacou actively explore greater possibilities for education and research collaboration. 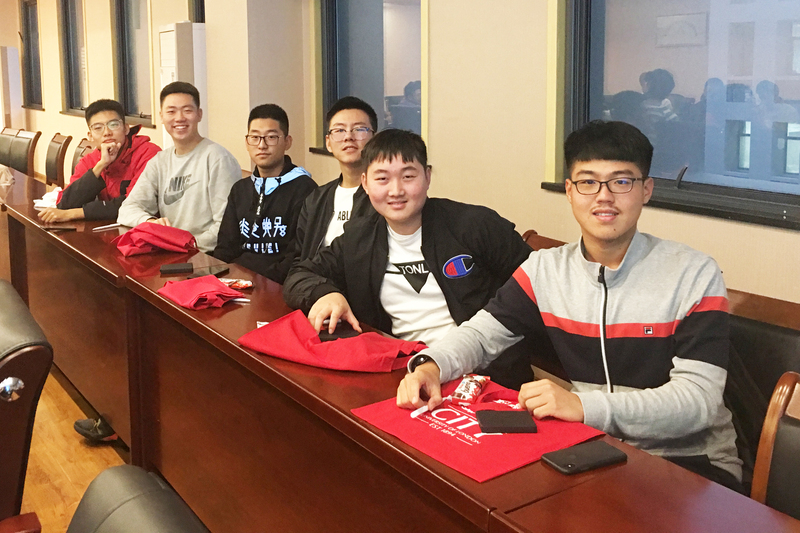 As part of a recent City, University of London delegation visit to China last month, academics from the School of Mathematics, Computer Science and Engineering (MCSE) held useful meetings with their counterparts at Beijing Jiao Tong University (BJTU), Shanghai Jiao Tong University and Tongji University in Shanghai. Several possibilities for education and research collaboration emerged which are being actively explored at present. MCSE delegates, Professors Sanowar Khan and Panicos Kyriacou also visited Nanjing University of Aeronautics and Astronautics (NUAA) in Nanjing, which has been a long-term partner of City since 2002. During their visit they gave presentations, held Q&A sessions, and interviewed 60 students bound for City for the September 2019 and 2020 Academic Years under the current joint degree UG arrangement between the partner institutions. The delegates discussed operational and strategic issues associated with the joint degree arrangement with NUAA academic and management colleagues, and agreed to host a workshop at City in 2019 to explore possibilities for research collaboration.